In this week’s blog, we wrote about how to find strength from your relationship. 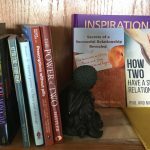 Here is a wonderful article from our dear friend Gail Brenner and a couple more articles with great advice on relationships. 10 Ways to Have Peaceful, Loving Relationships “I’ve made a million and one mistakes in relationships. In this week’s blog, we wrote about knowing you are on the same side in your relationship. It was surprising how difficult it was to find articles on this topic. Here are some good ones. Dramatically Improve your Relationships by Becoming a Team “I once had a totally commonplace, uneventful thought that transformed the way I viewed relationships…. In this week’s blog, we celebrated the International Day of Peace and gave a number of links to peace organizations. We’re shaking it up here with a variety of different links. Negative versus Positive Peace A short but insightful way of thinking about peace: “Negative peace refers to the absence of violence.